*’Saturday Morning Cartoons!’ is now SOLD OUT. Please email us at Jack@InnerSpaceConcerts.ca to be on the waitlist. Remember getting up bright and early on Saturday mornings to catch your favourite cartoons? 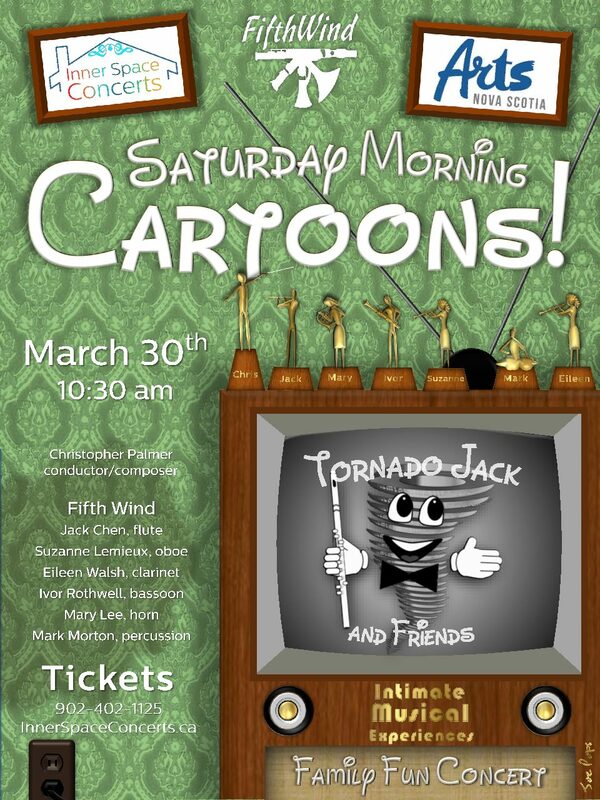 Come watch some of the earliest Saturday Morning cartoons ever aired with live music from Canadian composer Christopher Palmer, Halifax’s own wind quintet, Fifth Wind and percussionist Mark Morton. We will bring the popcorn! *Please note the showtime is Saturday morning at 10:30am.